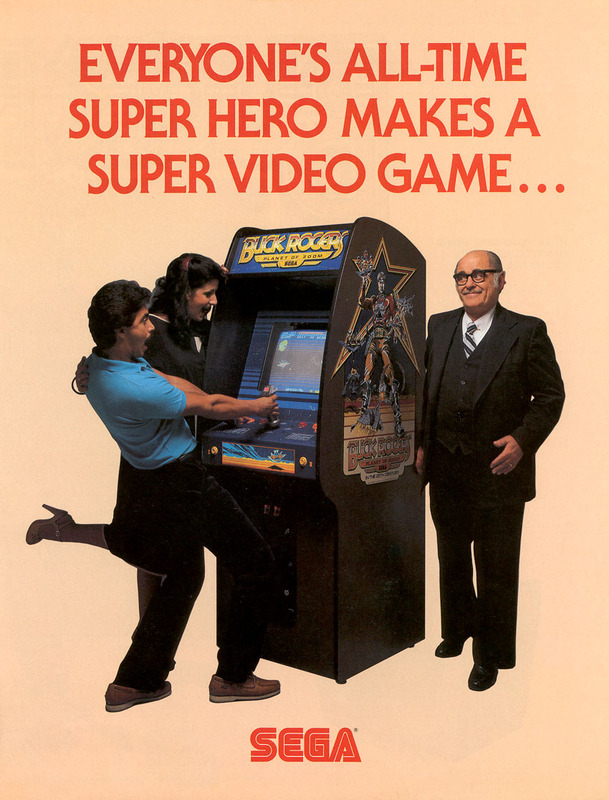 We have one game for you this week. 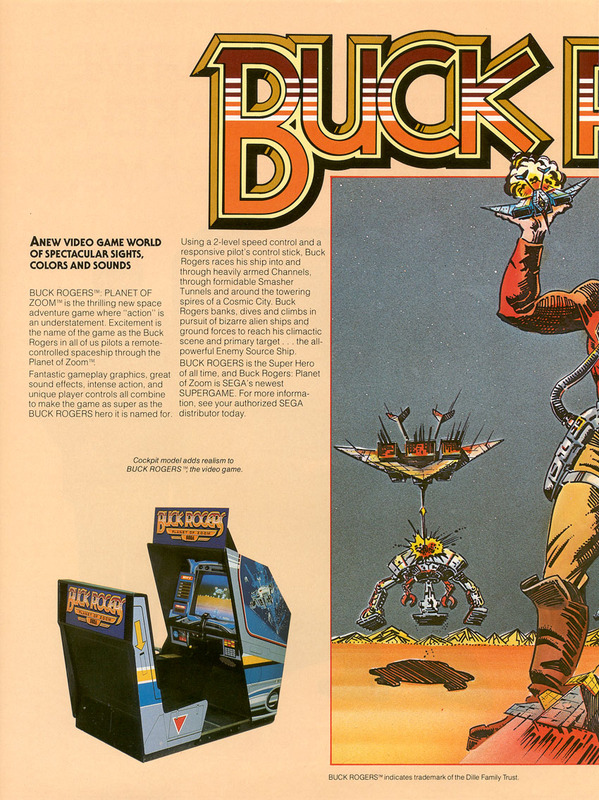 And that game is Buck Rogers: Planet of Zoom. 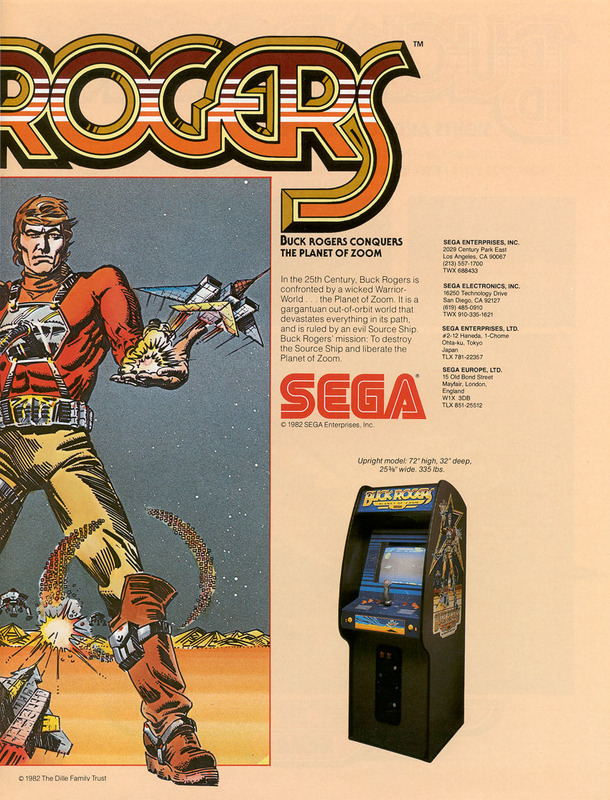 Buck Rogers: Planet of Zoom was released in 1982 and was developed by Sega. 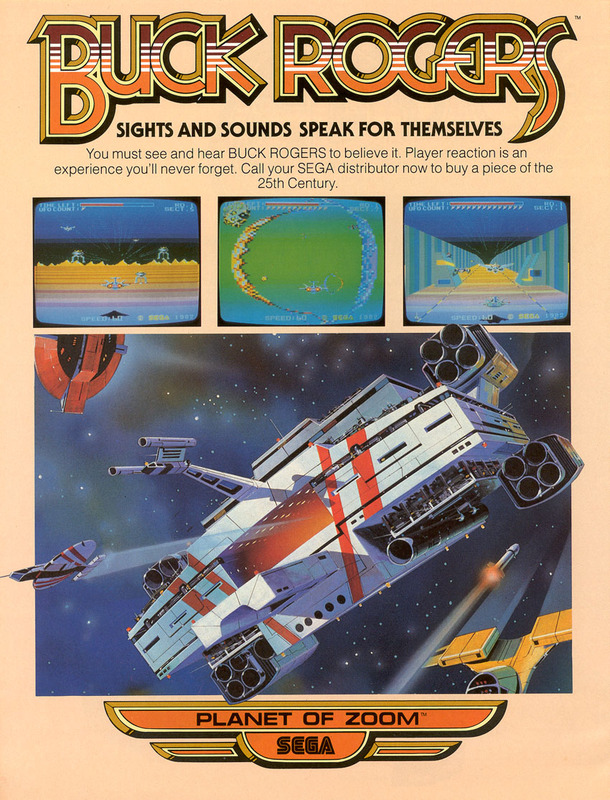 Buck Rogers is a pseudo-3D forward scrolling shooter. Where you control a spaceship from a third person perspective. Your mission is to liberate the Planet of Zoom by destroying the evil source ship that is ruling over this out-of-orbit world. The game consists of eight sectors per round. You must destroy enemy ships and ground forces while avoiding any obstacles in your way. Once you reach sector eight you are confronted by the evil source ship in which you need to destroy it's engines before you can destroy the ship itself. When the evil source ship is destroyed you are returned back to sector one. The sectors for round two are in a different order and some are slightly different. After you complete this round the sector cycle returns back to the original cycle in round one. There is a ever ending amount of rounds. Your ship is equipped with a rapid fire gun for you to destroy your enemies. You're also able to control the speed of your ship, you start at the medium speed and you can slow down or speed up your ship at anytime.